A Note from Tim: Forsyth County Schools in Georgia is in its fifth year of implementing Bring Your Own Technology (BYOT). The first year was spent on developing the infrastructure, and the last four years have focused on piloting the initiative, developing personal and professional capacity, and eventually spreading the practice of encouraging students to learn with their personal technology tools throughout the district. 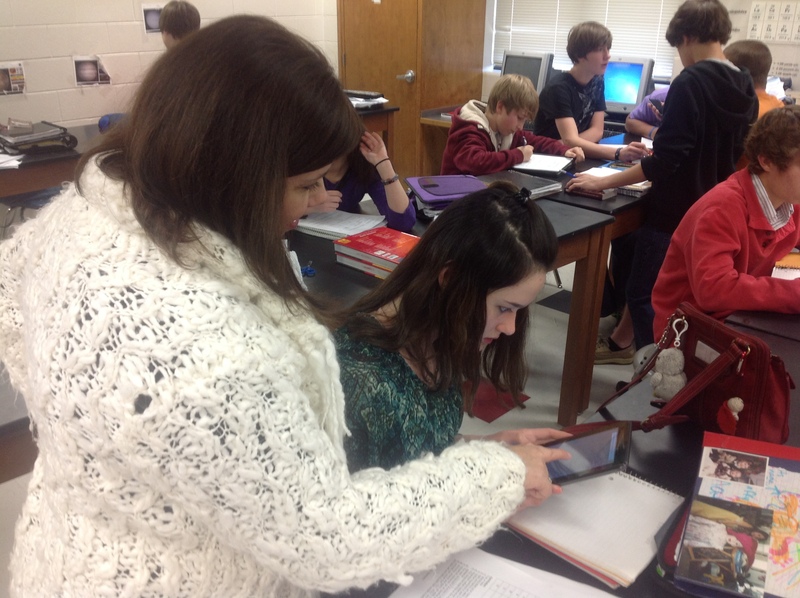 I have been so impressed with the dedication of our teachers to transform their classrooms with BYOT! In this series of posts, I am sharing some of their experiences from different grade levels in their own words. 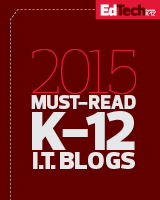 Using technology in the classroom was a paradigm shift for me as an educator. I can tell you it was hard to let go of the idea that I needed to somehow take all of my knowledge and transfer it to my students. After quite a bit of self-reflection and the BYOT initiative in our district, I came to understand the true meaning of becoming a facilitator of learning. I shared with a colleague that, as teachers, our job is a lot like a parent teaching our own children to ride a bike. As parents, we know how to ride a bike, but until our own children try it out on their own, they will never learn. It doesn’t start very pretty, there may be bumps and bruises along the way, but very quickly our children ride the bike…and do it well! The same can be said of my own classroom and using technology. I began my journey by letting go of the fact that I am not going to be an expert on every device that walks into my room. Where I am not the expert, there is a student who is in every class! They love to be the expert and are eager to help each other. I asked students to find apps that they felt like were helpful to them to accomplish tasks that I would normally ask them to simply write and turn in. Students showed my apps such as “Show me” and “Skitch” where can draw my diagrams from the board, and then use them to make their own about different concepts. I could see a shift in how students communicate results in the lab. Students create lab write ups with rich discussion posts on WikiSpaces. They were now able to capture video to show chemical reactions. They could use voice overs to explain what happened in their own lab. They began sharing and analyzing student work; applying what they were learning to other situations. They asked such enlightening questions of each other, and made comments that I had never thought of! They compared data points on graphs, and analyzed why and how their results were alike and different than others. I could see the “light bulb” go off for students regarding human error and the scientific process. A student summed up BYOT saying, “It used to be that just you (the teacher) saw our work, now everyone sees it. I want mine to be the best.” Peer pressure can be a great motivator, and combining it with technology makes it even greater! I have learned to leave fear out of my classroom. I have learned to look at technology as a tool that allows students to learn more, do more and become more than they had been. My classroom has become an inviting and exciting place to learn, not just for my students, but for me, too! This entry was posted on March 28, 2013, 7:00 am and is filed under BYOT Strategies. You can follow any responses to this entry through RSS 2.0. You can leave a response, or trackback from your own site.